190323 Amsterdam Cobras v Harderwijk Dolphins. 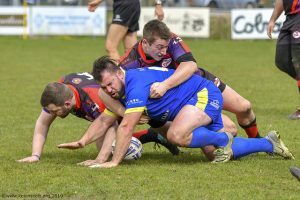 Rugby League… Friendly match in preperation for the start of the new season. 160813 Netherlands XIII v Germany XIII, Griffon Cup 2016, Hosted by Rotterdam RSRC. 180616 Rotterdam Pitbulls v Den Haag Knights. Netherlands (NRLB) Rugby League Final 2016. The Hague defending last year title against the Pitbulls. 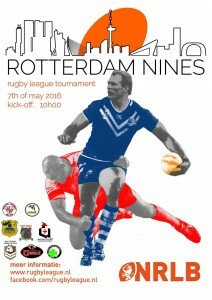 The Rotterdam Nines returns. 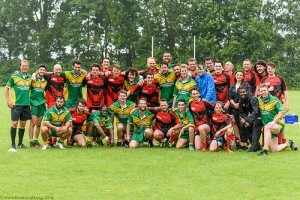 A Great day of Rugby League with team from Australia, Belgium, Germany and the Netherlands. 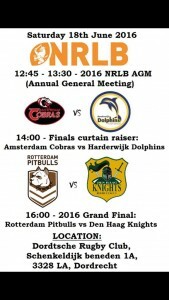 160416: The summer season kicks off with the first match of Rugby League between Amsterdam Cobras and Rotterdam Pitbulls. 150509: Den Haag Knights v Brussels Gorillas. Netherlands Rugby League. 150509 Amsterdam Cobras v Rotterdam Pitbulls. Netherlands Rugby League. The inaugural match of the ‘NRLB Nationale Kampioenschap’ in the Netherlands, The first game being between the two rival cities of Amsterdam and Rotterdam. Where the Amsterdam Cobra’s take-on the Rotterdam Pitbulls. 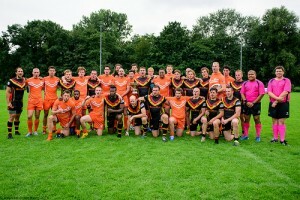 International Tri Nations: Griffin Cup Challenge – XIII : Netherlands vs Germany, held at the Delft Rugby Club.